This is the second in a series of blog posts leading up to our NWEI North American Gathering which is September 15th-18th in the lovely town of Port Townsend, Washington. Throughout the summer we’ll be sharing information about this bi-annual NWEI event, hosted this year with our friends in Port Townsend. 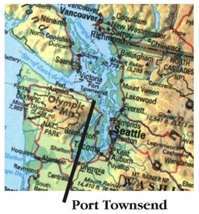 Port Townsend was founded in 1851 and is a city of 8,925 which prides itself on its historic charm, maritime heritage, and stunning natural setting. Located just across the Puget Sound from Seattle, Port Townsend is a place of incomparable beauty with parks, beaches and trails. 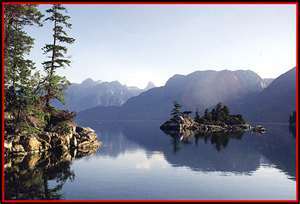 It is situated on the Olympic Peninsula,which is home to temperate rain forests and the Olympic Mountains. For this year’s NWEI North American Gathering, we’ll be staying at Fort Worden State Park, home to the Marine Science Center. In the mornings you’ll have the option to join a group for a yoga session or contemplative hike along the two miles of saltwater shoreline within Fort Worden State Park (the park rests on a high bluff overlooking the Puget Sound). We will visit the Port Townsend Farmers Market together as well as jump into the Jefferson County Farm Tour for those who want a deeper glimpse into the local food movement that Port Townsend is beginning to to be known for. Visit the City’s official website for more information and a list of local attractions. We encourage attendees to build time into their trip to dip into the region’s many beautiful offerings–this is the perfect opportunity to infuse a vacation with community and learning. Take a Virtual Tour of Port Townsend, Washington by clicking here. We hope you can join us in Port Townsend this September! Today we have a guest post for you from Bill Gerlach who blogs at The New Pursuit. Many thanks to Bill for sharing his writings on living deeply with us. The more you look around the more you see a movement underway. The status quo is being challenged from every angle. People are feeling a subtle yet constant tug – like an eager toddler at your legs – that something is awry in their life and the life of the world. Many have put their hopes in material happiness. Yet now, those same people are seeking a new balance in their lives; abandoning the pursuit of ‘more’ that consumerism has pushed upon us and the resulting disconnect with the natural world it has fostered. LIFE // From the literal breathing, eating, moving kind to the qualitative how-we-spend-our-time kind, Life is the basis on which we all connect, experience and hopefully thrive. NATURE // This is the living world around us. The eco-sphere. The amazing manifestation of creation without which we would be unable to survive. BEING // The sentient-self. The essence of who we are, expressed both internally and externally. The ability to recognize such qualities in other life forms. This is just my definition though. What I call “deep living” you may call something else. It’s not about the label, rather how we each approach the call to get more out of this one and only life. Some aspects or elements may be more important to you than they are to me. That’s OK. It’s more about the end, not so much the differences between the means. Let’s be clear: This is a journey that takes time and patience. It is not an overnight wonder pill that we pop to clear the ailments of our personal and collective situation. For me, I am still a beginner navigating the ups and downs of this path. Each day brings new opportunity and new perspectives; new awareness of short-comings and new lessons learned. I don’t know all the answers and probably never will. Perhaps I’m being overly optimistic. You know what? I’m OK with that. When more and more people think big like this the exponential power of focused intention starts to take over. Momentum builds—albeit slowly at first—and before long, we start to see the fruits of our happy ‘labor’. Bill Gerlach is freelance writer, blogger and public speaker exploring the intersections of Life, Nature, Being and Community. He lives in Rhode Island with his family, gardens and other simple joys. You can read more of Bill’s writing at: www.thenewpursuit.com. NWEI North American Gathering is Calling! This September 15th-18th Northwest Earth Institute course participants, partners, volunteers and community organizers (and anyone else interested in learning more about transformative sustainability education and how to create healthier communities) will gather in Port Townsend, Washington for three days of hiking, yoga, workshops on sustainable food, edible landscaping, dynamic community organizing, networking and community building. We invite you to join us! For those of you who have attended NWEI events in the past, you know we will roll up our sleeves and dig deep into learning about what each of us can do to create a more sustainable future. Workshops and discussions will focus on what successful community organizers have done in Port Townsend, and there will be opportunities to learn from the local community through visits to the Farmers Market and the Jefferson County Farm Tour. We’ll explore how to be effective agents of change in our own communities – and we’ll also have a lot of fun! One of the reasons we wanted to hold our gathering somewhere other than Portland this year is to pay homage to the beauty and bounty of the Pacific Northwest. Port Townsend offers the opportunity to be in the presence of the majesty of Puget Sound, with the Olympic Mountains across the way, and old growth firs and cedars nearby… Since our work is rooted in protecting what we love and care about, there is no better place to come to re-energize, recommit and reconnect with friends and colleagues old and new. Here’s to community, health, the beauty and sustenance of nature – and to creating a sustainable future for generations to come. We hope to see you there! If you are a NW Natural gas customer, please keep reading. If not, feel free to skip the rest of this friendly message. NW Natural is running a promotional campaign to enlist customers in paperless billing–which is great in and of itself because it’s less mail for you to deal with and less paper making its way into the recycling bin. But to make things even more exciting, they are offering $25,000 to a small group of local nonprofits–every paperless billing customer gets to vote for the organization of their choice. This is where you come in–NWEI is one of the four nonprofits who will benefit from the campaign, and we need your votes. If you are already a paperless customer, that’s great–just log in to your account and then vote (this link takes you straight to the campaign webpage too). If you are not already a subscriber, follow the link and enroll today to cast your vote. This is an easy way to support NWEI, and reduce the clutter on your kitchen counter in the process. To sweeten the deal, we’re also raffling off a copy of the newly revised Voluntary Simplicity book and a $25 Portland Nursery gift card–just email us (staff at nwei dot org) and let us know you voted and we’ll enter you into the raffle. The campaign runs through June 30, 2011 but don’t delay- cast your vote today. 350 Home and Garden Challenge this Weekend! 2011 350 HOME & GARDEN CHALLENGE: *Go Grey* from TINBIKE on Vimeo. As you may have seen on our blog last week, NWEI is partnering with Transition US and 350.org to get people involved in this weekend’s Home and Garden Challenge! Already, over 700 people around the US are signed up to take action in their communities. Organizing a Home & Garden Challenge in your town (or city, village, county, parish, island) not only helps raise awareness and continue to build local resiliency, it offers an opportunity for citizens to be a part of something much larger. This is the perfect opportunity for communities across the country to come together on a single weekend and show their solidarity. Let’s get some NWEI folks on the map! Learn more about signing up and taking action here. 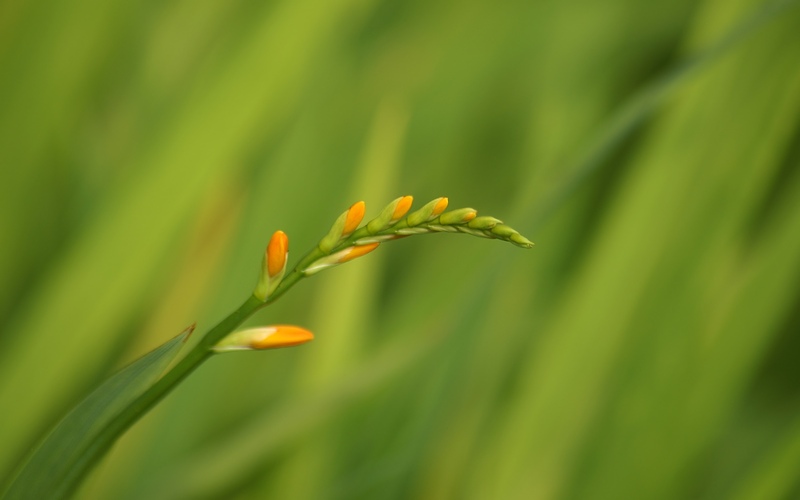 Getting Back to Basics: We have a New & Improved Voluntary Simplicity guide for you! Organize a Voluntary Simplicity course together with friends, family, and members of your community in honor of living lightly – so that what is truly important can shine through. We invite you to slow down, unplug and live deeply – and we hope this updated Voluntary Simplicity guide will be an inspiration along the way. Creating A World of Health at Age 70! “Since taking part in recent discussions focused on A World of Health: Connecting People, Place and Planet, I have immediately made lifestyle changes in the areas of what I eat, where I live and what I use for personal care. I’ve researched all my cosmetics, and thrown away almost all the toxic ones. 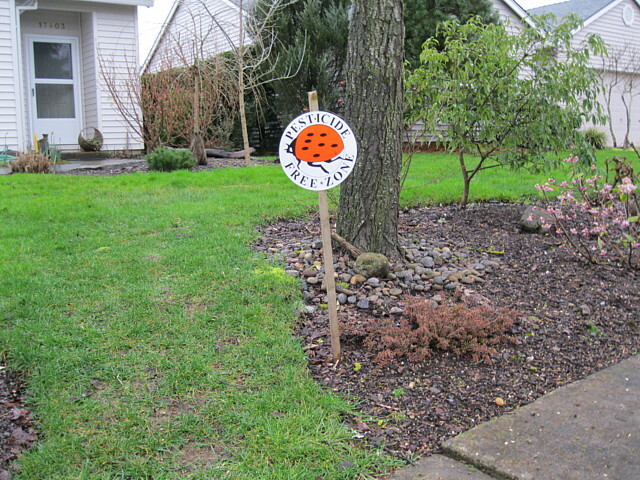 I’ve put a lady-bug sign on my lawn that says “Pesticide Free Zone” and have committed to non-toxic lawn care. I’ve gone back to using just plain washing soda and vinegar for most cleaning. The course has also reinforced some ongoing habits. I continue to drive less and consolidate errands, which I’ve been doing for years. I also continue to ride my bike to the grocery store for a “few things” in the summer and fall. In the area of food, I’ve begun to buy mostly organic produce (and have tried to keep calm as I see the total at the cash register). I also subscribed this spring to a vegetable program through a local CSA. I stored away all my nice plastic containers and bought glass containers and waxed paper sandwich bags for leftovers (so, what do I do with 2 new rolls of plastic wrap?). I’m working on engaging community members in making change, and spoke to managers of my two Trader Joe’s about providing tomatoes in glass jars (but am also finding that fresh tomatoes actually make a pretty good spaghetti sauce!). I also recycled the plastic water bottle I keep in my car, and replaced it with stainless steel. Hot off the heels of our April Month of Action, we’re diving into offering a new version of Voluntary Simplicity as well as partnering with Transition US and 350.org to encourage you to join the 350 Home and Garden Challenge! What is the Home and Garden Challenge? You as an individual can identify specific actions in one or more of the four challenge areas: food, water, energy and/or community or volunteer on a community project. All we ask is that you register your action so we can show the world just how powerful we are as a movement then check out the Actions Map to see who else is taking on the challenge. As Trathen Heckman of the Transition US movement wrote in a recent blog post: On a single weekend, May 14th & 15th, thousands of us will take to the streets, the garden, schoolyard, home, apartment and city hall to take action as part of the 350 Home & Garden Challenge…A multitude of organizations across the country will transform, retrofit and revitalize our landscapes and homes to grow food, conserve water, save energy and build community. And we need YOU to join us. Stand up and be counted, inspire your family, friends and neighbors to do the same. Amidst a dizzying array of crises and mounting despair, together with our heads, hearts and hands aligned in action we will bring the hope of this historic transition as we descend from peak everything to community resilience. These times ask for more from us. They ask for us to rise and shine like spring’s verdant emergence, an unstoppable force of nature. 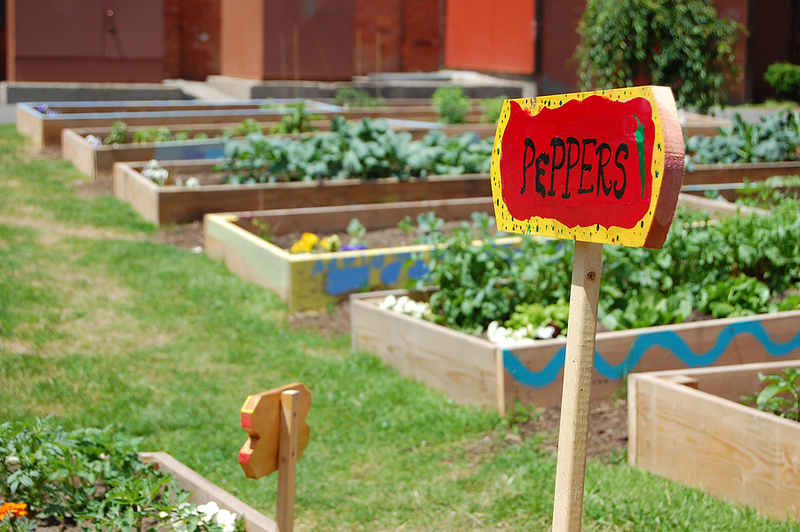 Here’s to collaboration and to gardening for change! Here are some resources to help you get started. Register now as May 14th is fast approaching!